ZEUS: I will answer your question, but you must be brave. In entering the Trojan zone the Doctor committed a very serious offence. He broke the first law of the Time Lords and short-circuited our own time-scale. For this offence he was tried by Council itself. He was found guilty and condemned to death. The execution was carried out at once. Athene folds back the cloth covering what appeared to be a table in the centre of the room. It is a bier upon which is lying the body of the Doctor. Sarah bursts into uncontrollable weeping. ZEUS: Don’t cry, my child. He didn’t suffer. Council took into to account all he did on Circe and assigned him the sweetest possible death – the death that very old Time Lords choose when their bodies have been regenerated many times and they feel they have lived long enough. All they did was to send him to sleep and to neutralise his body’s cell-renewal mechanism. He’ll enjoy pleasant dreams for a few short hours, and then … well, then he’ll just slide peacefully into death. SARAH: You mean … he’s still alive? ZEUS: Don’t raise your hopes, my child. There can be no appeal against decisions of Council. There is no way of arresting his death. ZEUS: I am deeply sorry, but the law must remain inviolate. Your tears cannot bring him back. Please try to compose yourself. I shall try to be as brief as possible – I think we can dispense with further evidence – but we must now decide what is to be done with you. ZEUS: On the Doctor’s own evidence, he, and he alone was responsible for the incursion of the Tardis into the Trojan Zone. You, Sarah Jane Smith, were an innocent passenger. Since you are a Human and unfamiliar both with the principles of Time travel and the laws of the Time Lords, you cannot be held responsible. As for you Odysseus, King of Ithaca, you and your companions have been the victims of an illicit experiment carried out by … a former member of Council. The Doctor has pointed out that both of you have undergone considerable suffering and the court agrees that you should be compensated as far as is possible. You will be glad to know that your suffering has not been in vain. As a direct result of the Doctor’s intervention Council has banned forever all experimentation with less developed intelligent life-forms. The force-field delimiting the Trojan Zone will be strengthened to prevent further accidental entrance by an unwary Time Lord. For technical reasons no Time Lord can erect the final aerial to complete the circuit, and therefore, Odysseus, we must call on your service one last time. You will be told later where to place the aerial, which is no larger than an oar or a winnowing fan. But do not fear that we shall cheat you. You shall have your reward first. Athene has been given permission by Council to assist you to win back your wife and your home; and, to compensate you for the loss of the gold you won at Troy, we’ll make you richer than ever by giving you the treasure hidden by other warriors who perished before they could reclaim their hoards. But as for Sarah Jane Smith, I fear that nothing can console her for the loss of her friend. ZEUS: All we can do is to send you home to your own time. You may keep the blue crystal. SARAH: I don’t want it! All I want is the Doctor’s life! He saved you as much as anybody. If it hadn’t been for him you would have become as bad as the Circeans. ZEUS: His memory will be honoured forever in the records of Council, but the Law must take its course. SARAH [to Athene]: What about you? You’re his mother. Don’t you care if he dies? ATHENE: He has been judged according to the Law. We must obey. ATHENE: Zeus, as next of kin, I have charge of my son’s body. 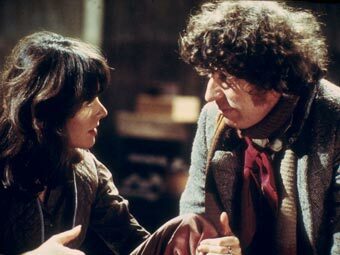 I ask that it be committed to the care of Sarah Jane Smith, so that she may return with it to her own time, stay with him to the end and lay him to rest in this world, which he loved. ZEUS: We grant that request. It is a kind thought. Sarah may arrange her friend’s funeral. You, Athene, may observe until all is done, but you must not communicate with Sarah after she leaves the Olympos. When it is all over, you most return home, as we all must, for selective amnesia therapy. Court will adjourn. They begin to go out. Athene and Odysseus guide Sarah. The Tardis. Sarah, Odysseus and Athene have laid the Doctor on the bunk. ATHENE: The Tardis is still linked to the controls of the Aegis. I’ll guide you back to your own time and then relinquish control. Farewell Sarah Jane Smith. Sarah does not reply. Odysseus and Athene go out. Athene pauses at the door. ATHENE [solemnly]: I know you will keep the Sacred Flame, of his memory alive. Athene goes out. A moment later the doors close and the Tardis takes off. The Doctor’s laboratory at UNIT HQ. The Tardis lands. Sarah staggers out. Harry enters the laboratory. HARRY: Doctor? Ah, I thought I heard you arrive … What’s up, old girl? Not feeling too grand? SARAH: Oh, Harry, he’s... he’s dead! Harry looks towards the Tardis, understands who she means and tries to comfort her. HARRY: There, there, old girl. It happens to us all in the end. You just have a good cry. HARRY: Is he … in there? HARRY: Perhaps I ought to take a look at him. Sarah cries and clings to him. HARRY: Well I am a doct … er … a medic. HARRY: Excuse me, old girl. He disengages himself from her to answer the phone. HARRY: Hallo. The Doctor’s laboratory … No, it’s Sullivan, Sir … Yes, it was the Tardis … Well, no … well, it seems he’s dead, Sir … Yes, Sir. HARRY: Chin up, old girl. The Brig’s coming down. In the meantime I’d better take a look at him. Harry enters the Tardis. Sarah follows. Inside the Tardis. The Doctor is lying on the bunk. Harry examines him. Sarah watches. HARRY: Not much doubt about that. He’s a goner. BRIGADIER [from outside]: Sullivan! Where the devil are you? Harry and Sarah go out. The Doctor’s laboratory. The Brigadier. Harry and Sarah come out of the Tardis. HARRY [shrugging hopelessly]: I’m afraid it’s hopeless, Sir. The Brigadier strides into the Tardis. Sarah and Harry follow. Inside the Tardis. The Brigadier looks at the Doctor. Sarah and Harry come in behind him. HARRY: Don’t know, Sir. Not a mark on him. SARAH: It was the Time Lords. They just stopped him living. They just took away his power to go on living. BRIGADIER: Don’t be ridiculous, Sullivan. HARRY: But it’s a known fact, Sir. Voodoo priests just tell a man he’s got a curse on him and he’s going to die, and he does die. BRIGADIER: We’re dealing with Time Lords, Sullivan, not primitive savages. Now, Miss Smith, explain slowly and clearly exactly what happened. SARAH: Well … well … we were in the Trojan Zone and the gods found out only they were Time Lords and Odysseus was sent to Circe and we followed because of Athene, she’s his mother, the Doctor’s I mean not Odysseus’s, only the Circeans were trying to build spaceships to conquer the Seven Galaxies, and they used us only we got free because of the crystal the Doctor gave me, not this Doctor, I mean the other one, except he’s him too, and we smashed the Eye and escaped with Daleks and destroyed the ship, but the Forkiads caught us and the crystal freed the Polyfemos and we went back to Greece and Odysseus went home with gold but … but they executed the Doctor for short-circuiting the time-scale. BRIGADIER: Do you know what she’s talking about, Sullivan? HARRY: No, Sir. It seems to be something about Odysseus. Wasn’t he the man that built the wooden horse and put out the eye of the Cyclops? SARAH: That’s right. We smashed the Cyclopic Eye … Don’t you believe me? BRIGADIER: Don’t worry, Miss Smith. You've had a very trying time. You’ll feel better when you’ve had a rest. Sarah rushes out in exasperation. BRIGADIER: Look after her, will you, Sullivan? Try to keep her out of the way until the official autopsy is done. BRIGADIER: Can’t be helped. UNIT can’t afford to have an unexplained death on its hands – and certainly not our chief scientific advisor. Good God, man, you don’t seem to realise how the Doctor got around. He was a personal friend of Mao Tse Tung to name only one. Just think what stink the Chinks might kick up. It was only the Doctor’s reputation that got them to the conference table in the first place. If we don’t handle this properly it could be the end of UNIT. The next alien invasion could find us totally unprepared. Well don’t just stand there, man. I want, Miss Smith put under sedation … Oh, and, Sullivan … I don’t want a word of this to get out before the official statement. Harry goes out. The Brigadier looks down at the Doctor. BRIGADIER: Well, Doctor, you’ve been close to death before, but this time it’s final. You’ve saved our bacon time after time. I don’t know how we can get on without you. Well, goodbye, Doctor, wherever you are. The Brigadier salutes. Then marches stiffly out. Close-up on the Doctor. Outside the Tardis the Brigadier picks up the phone. BRIGADIER [off]: This is the Brigadier. Get me a call to the Prime Minister, then after that Geneva. Priority One. Scrambled. I’ll be in my office. Sarah pleads. The soldier shakes his head. She stumbles away. Another corridor. Sarah stumbles along it. Harry finds her. He catches her as she is about to fall. HARRY: You look all in, old girl. Let’s get you back to bed, shall we? SARAH: The Doctor … they wouldn’t let me in. HARRY: Brigadier’s orders. They’ve got some bigwig coming up from London to take a look at him. HARRY [evasively]: No need to get alarmed, old girl. They just need a top man to certify that there are no bullet holes or anything. 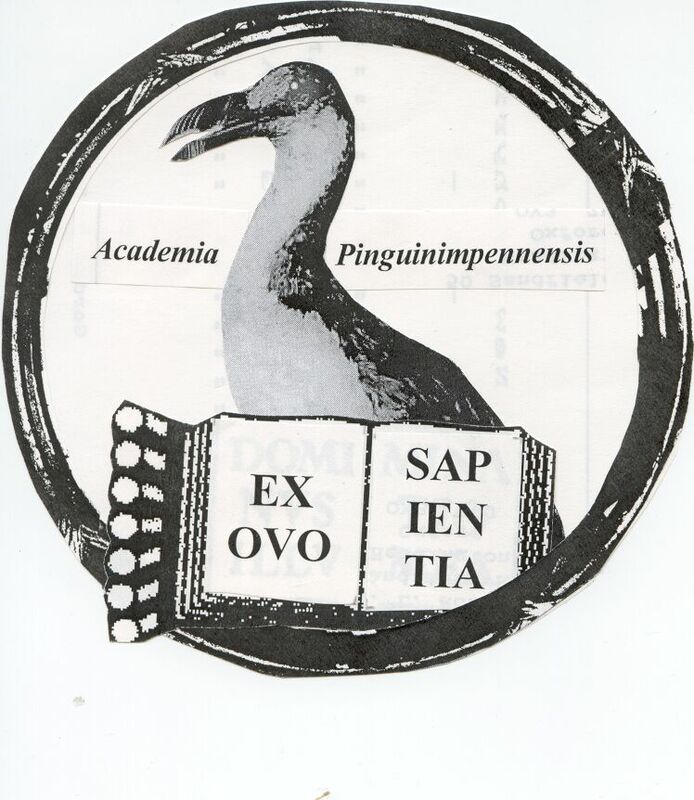 Actually it’s Sir Martin Pendennis, the President of the European College of … er … medical practitioners. But let’s worry about you first. Come on now: back to bed. He leads her away. She seems to be protesting feebly. UNIT canteen. Sarah and Harry seated at a table drinking coffee. HARRY: You ought to be in bed, Sarah. HARRY: I’m a doctor. I know. You’re dead on your feet. Coffee isn’t going to keep you awake. You’ll only make yourself ill.
SARAH: There must be something I can do! HARRY: There’s nothing any of us can do now, old girl. We both saw that he was dead. SARAH: I don’t know! I don’t know! I’m responsible for him, but they won’t let me see him. Athene said I was to arrange his funeral. HARRY: Well I suppose we can get on with the arrangements. It’ll do you good to have something to do. What sort of funerals do Time Lords have? HARRY: What religion are they? SARAH: I don’t know. Athene just said: “Keep the sacred flame of his memory alive”. HARRY: Perhaps we need candles like the RCs have … or perhaps she meant one of those everlasting flame things like they have at the Olympic Games. I don’t suppose we’d get planning permission, though, do you? SARAH: The Sacred Flame! Come on! Sarah grabs Harry’s arm and sets off for the exit. Harry falls over a chair. SARAH: Oh, come on, Harry. There’s no time to lose! SARAH: We may be able to save him. SARAH: Not yet. They said he’d linger on in that coma for several hours. Hurry! HARRY: Coma … oh … You wait here, old girl. I’ll see to it. He tries to reseat her. SARAH: Stop it, Harry. This is no time for games! HARRY [glancing at his watch]: They must have started. HARRY: Well … Sir Martin Pendennis is President of the European College of Surgeons. He’s come to do a post-mortem. She hurtles out of the canteen. Harry follows. The Doctor’s laboratory. The Brigadier, Sir Martin Pendennis, a cluster of surgeons in attendance on Sir Martin, two medical orderlies wheeling the Doctor’s body on a trolley to a suitable position and arranging lights. BRIGADIER: I do assure you, Sir Martin, that it’s not just a routine autopsy. The Prime Minister realises how busy you are, but she absolutely insisted that the body should not be prepared in any way before your arrival. Pendennis takes his watch from his waistcoat pocket and looks at it impatiently. BRIGADIER [to orderlies]: Hurry up and prepare the patient. Sir Martin hasn’t got all day. One orderly removes the Doctor’s scarf, the other his boots. One of Sir Martin’s attendant surgeons begins to take gleaming surgical instruments from a case and lay them out on a tray. Another holds Sir Martin’s gown ready. Sir Martin, with an expression of supreme dissatisfaction, looks at his watch again. The Brigadier taps his stick against his leg. Suddenly the door is flung open. Sarah and Harry rush into the room, followed by the armed guard who has failed to stop them and who skids to a halt just inside the door. SARAH: Oh no you don’t. She hurls herself at the nearest orderly, who cannons into Sir Martin Pendennis. The surgeons fall like ninepins. The Brigadier sidesteps swiftly and stays on his feet but cannot get around the sprawling surgeons to intervene. Harry dispatches the second orderly with a quick right to the jaw, then he and Sarah shoot the trolley into the Tardis and the doors close. The Brigadier hurls himself at the door and beats on it furiously. HARRY: What now, old girl? SARAH: The Sacred Flame! On Karn. The Sisterhood. HARRY: You mean you’re going to try to fly this contraption to some unknown planet millions of miles away? SARAH [defiantly as she looks uncomprehendingly at the controls]: Yes. Why not? HARRY: Do you know how to work it? SARAH: No. But I’ve watched the Doctor. Stand by for take-off. She pulls a lever. Nothing happens. SARAH: Can’t have been the right one. I’ll try … this one. The Doctor’s laboratory. Sir Martin Pendennis has been assisted to his feet and brushed down by solicitous surgeons and orderlies. He pulls at his jacket, brushes at his sleeves, squares his shoulders and advances thunderously towards the Brigadier, who stops hammering on the Tardis and turns to face him. Pendennis draws a deep breath and opens his mouth. The sound of the Tardis taking off interrupts him. He looks in its direction and sees it disappear. His jaw drops and his eyes pop. He shakes his head as if in a nightmare, then fumbles for a tube of pills and swallows several while his attendants fuss around him. SARAH: There! I told you I could do it. Sarah flicks on the viewing screen. It shows a strange planet. She fiddles a few dials and pulls the take-off levers. The Tardis takes off and lands. The screen shows a different planet. Sarah repeats take-off and landing several times with increasing desperation. HARRY: It’s no good, old thing, there must be millions of planets in the Universe. You’ll never hit Karn just by aiming at random. SARAH: I thought Athene might help somehow, but I suppose she can’t. HARRY: Poor old Sarah. I suppose you’re still in a state of shock. There’s no such person as Athene. She’s only a myth. SARAH: Well if you believe that, why did you come with us to find the Sacred Flame? HARRY: I wish I knew. I don’t know what the Brig will say, but we’ve got to go back and face the music. Can you get us back to Earth, old girl? Sarah shakes her head and goes to look at the Doctor. Harry examines the control panel and scratches his head. HARRY: What does this red thing do? HARRY: It must be some sort of emergency control. Could be anything from a distress signal to an auto-destruct lever. Still this is an emergency, so here goes! The Tardis shudders then begins its take-off routine. The screen goes blank, but the Tardis does not land: its take-off noise continues with shudders and other mysterious sounds, then a slow, rhythmic, sighing “Whirr … whirr … whirr …” which grows sadder, slower and quieter. The lights dim. SARAH: What have you done? HARRY: I don’t know. Do you suppose the Doctor’s got a Tardis-owner’s handbook anywhere? HARRY: If it were alive I’d say it was dying. SARAH: But she is alive. The Doctor said so. Well at least we’ll all go together. She leans over and kisses the Doctor. The Tardis’s long drawn-out “hrrrrrrrrrhhhh”, which was almost silent, suddenly becomes louder. SARAH [to the Doctor]: I’m sorry. I know it would have been all right if I could have got you to Karn. The whirring becomes rhythmic. Sarah suddenly cries out and puts her hands to her head. HARRY: What’s up, old girl? SARAH: I … don’t know … I feel … like on Circe … Harry … I think I’m dying. Harry hurries to her side. Sarah is unaware of him. She stands stiffly, gazing straight ahead, then turns to stare at the viewing screen. On the control panel lights flash and dials alter themselves. Then the take-off and landing routine begins. The Tardis lands. A landscape appears on the screen. The lights and dials on the control panel alter again. The Tardis takes off and lands. A different planet appears on the screen. SARAH: It’s Karn! Look, there’s Solon’s castle. We’ve got to get him to the cave. She tries to lift the Doctor. SARAH: The Tardis. She must have linked to my mind. Help me with him. Sarah flings herself on to the bunk, weeping. The Tardis lands. HARRY: I say, old girl, we seem to be in some sort of cave. There are a lot of weird-looking women out there. SARAH: The Sisterhood!! Quick! They’ll give us the elixir. Sarah gets up, staggers and falls back exhausted. Harry starts towards her. SARAH: Never mind me. There isn’t much time. Get the elixir for the Doctor! Harry opens the doors and goes out. The cave of The Sisterhood of Karn. The sisters stand silently around their leader, Ohica, watching the Tardis. The door opens and Harry comes out. OHICA: Who are you who dare invade the holy cavern of the Sacred Flame? HARRY: Ah, good, this is the right place. I’ve come for the elixir. The Sisters seize Harry and drag him to a stake with brushwood piled around it. OHICA: We have kept this stake to remind us of a wrong we almost committed. We almost burned here one who came to deliver us from tribulation. Now it shall fulfil its rightful purpose. Your death will be a warning to others who may hope to steal the Elixir of Life. Ohica throws up her hands. The Sister, blazing torches in their hands, begin, their dance around the pyre. Sarah emerges from the Tardis, shakily. Sarah stumbles and pushes her way through the dancers towards Ohica. Ohica does not hear. Slowly she lowers her torch towards the brushwood. Harry shuts his eyes. Sarah flings herself in front of Ohica and grabs her. SARAH: Ohica! Don’t you know me? Ohica signals the dance to end. SARAH: We must have the Elixir for the Doctor. OHICA: The Doctor? Is he …? SARAH: Hurry! It may be too late! OHICA: Sisters! The Doctor has need of the Elixir! The Sisters take their places before the shrine of the Sacred Flame. Ohica opens the door. Ohica takes the phial and goes to the Tardis with Sarah. Inside the Tardis. Ohica and Sarah enter. Ohica starts on seeing the size of the Tardis, then recovers and follows Sarah to the Doctor. She tips the Elixir between his lips. Nothing happens. OHICA: We are too late. OHICA: Weep for him, my child, as the Sisterhood wept for Maren. We shall weep for him too, for he saved us from death by reviving the Sacred Flame. We could not save his life, but at least the Sisterhood of Karn may guard his ashes. They shall rest beside those of Maren in the grotto of the Sacred Flame. DOCTOR: That’s very kind of you Ohica, but I don’t think it will be necessary. The Doctor opens his eyes and grins. The cave of the Sisterhood of Karn. The sisters are watching the Tardis in anxious silence. The Doctor, Sarah and Ohica come out. The Sisters rejoice. DOCTOR: Goodbye, Ohica. Thank you again. The Doctor and Sarah go back inside the Tardis and close the doors. Harry has been left unnoticed, still tied to the stake. HARRY: Don’t go without me! The Sisters become agitated. Some cut Harry free while others bang on the door of the Tardis. The sound of take-off begins, then cuts out. The door opens and Sarah emerges to greet Harry. HARRY: Thought you’d forgotten me, old girl. Sarah and Harry enter the Tardis. The doors close. Take-off. The Doctor’s laboratory at UNIT HQ. The Tardis lands. The Doctor, Sarah and Harry come out. BRIGADIER: So there you are, Doctor. Well, I’m glad to see you’re alive, but you and Miss Smith have got some explaining to do. And as for you, Sullivan, you’ll be court-martialled and very probably shot. HARRY [at attention]: Yes, Sir. DOCTOR: Oh come now, Brigadier, we haven’t been away all that long – and we did save Earth again. SARAH: Yes, from the Circeans and from the Time Lords! HARRY: Gosh! You mean all that stuff about Odysseus and Circe was true? SARAH: Of course it was. We landed in ancient Greece and met the gods, only they were Time Lords experimenting with Earth, and we went to Circe to rescue Odysseus and … Doctor, if Odysseus was an ancient Greek, why was he talking in English? DOCTOR: He wasn’t, Sarah. We were speaking Greek. SARAH: But I don’t know any Greek. DOCTOR: You don’t know any Kaled either, or any Circean, but you didn’t have any trouble understanding the Daleks or Calupso. You don’t imagine everybody in the Universe speaks English, do you? DOCTOR: The Tardis contains an analytico-synthetic semiological programmer. It was developed by the Time Lords using Osirian universal semiology, but, whereas Thoth wanted to create a universally comprehensible writing system we developed a direct linguistic converter, so, to put it simply, wherever we go in the Universe the Tardis programmes our brains to understand and use the local language. It’s so useful that Council decided to make it possible for every race that develops interstellar travel to reproduce the micro-chips containing the programme. They’re being turned out in millions all over the Universe. Of course, the standard, mass-produced model doesn’t contain Time-Lordic, or Osirian. We’ve got to keep some secrets. The Brigadier has been tapping his stick impatiently. BRIGADIER: I suppose you know what you’re talking about, Doctor, but I’m blest if I do. BRIGADIER: I don’t want to know! I haven’t got time to listen to a lot of scientific gobbledygook. I’ve got to think up a practical, down-to-earth explanation for why Sullivan and Miss Smith hurled Sir Martin Pendennis to the ground and vanished with your body. SARAH: Poor Brigadier. You need a holiday. What about Greece? You’d like Sandy Pylos. DOCTOR: Yes, he used to play the bagpipes on the top of the Acropolis. The door is flung open. Sir Martin Pendennis storms in, followed by his obsequious entourage. He advances on the Brigadier, working himself up to a suitable pitch of fury before he speaks. His mouth opens, then comes a sound similar to that of a Tardis. The Aegis appears. Sir Martin’s jaw drops twice as far as before. He gurgles and gasps for breath. No-one takes any notice of him. His entourage are staring horror-stricken at the Aegis. BRIGADIER: Good grief! What in Heaven’s name is that? DOCTOR: Don’t worry, Brigadier. It’s only Mummy. VOICE OF ATHENE: Both the law and justice are satisfied. DOCTOR: Pity she couldn’t stay for tea. Sir Martin Pendennis topples in a faint. DOCTOR: I suppose she does have that effect on some people. BRIGADIER: How am I going to explain this? You’ve got to think of something, Doctor. DOCTOR: Me? You know I never get involved in politics or bureaucracy. That’s your job, Alastair, and I think we may as well leave you to it. Sarah? Harry? The Doctor, Sarah and Harry enter the Tardis, which takes off. The Brigadier slaps his stick against his leg in exasperation.